'Shadow': New Light On Islamic History Islam is conventionally thought to have arisen in the Arabian desert, free from any outside influences. But a new book by historian Tom Hollander provides some surprising historical context — and an origin story quite different from the one most people know. Lightning from a clear sky — that's how historians have described the rise of Islam. Stories say the Prophet Muhammad received his revelations from the Angel Gabriel deep in the Arabian desert, hundreds of miles away from any outside influences. The Prophet was even said to be illiterate and therefore free of the taint of other religious writings. That origin story is supported by a scaffolding of commentaries and biographies of the Prophet stretching back through the centuries. But historian Tom Holland has reexamined those sources and come to a different conclusion. 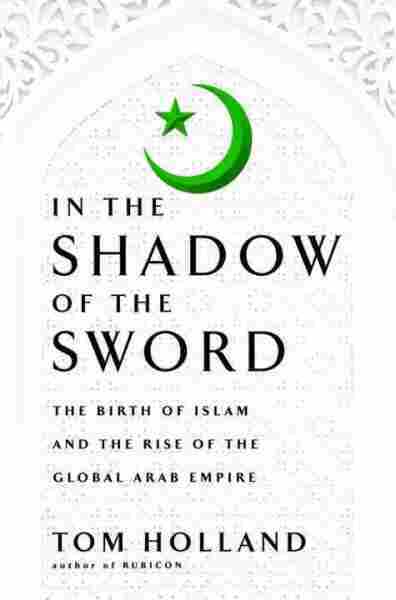 His new book, In the Shadow of the Sword, places the rise of Islam within the context of the Roman and Persian empires of late antiquity. "The whole point of the Muslim story is that Islam is a new beginning, that it owes nothing to the decadent empires and religions that lie farther to the north," Holland tells NPR's Guy Raz. "The problem with that story is that all the sources that are written by Muslims date to ... at the earliest, 200 years after the lifetime of Muhammad." Holland says that while there's no doubt some historical accuracy in the sources for early Islam, those documents are more likely to be reflecting conditions at the time of their writing in the ninth and 10th centuries. And the Prophet lived early in the seventh century, a time that Holland says historians must consider in order to understand the birth of Islam. "When you do that, you realize that Islam is palpably, bears the trace elements of Jewish and Christian belief, and not only Jewish and Christian belief but a whole range of heresies: Samaritans, Manichaeans, Jewish Christians, Christian Jews," Holland says. If you believe the Quran is the word of God, Holland says, then explaining the inconsistencies is easy: All things are possible to God. "If you're not a Muslim, then you have to try and explain where these elements in the Quran might possibly have come from, and that really is what I'm trying to do." One answer may lie with the Prophet himself, whom Holland suggests was not, in fact, illiterate. "If you look at the Quran itself, there is a passage in which it is strongly implied that Muhammad can not only read, but that he can write," Holland says. "The Quran is an incredibly literate response to the currents of the age." Also, Holland says, the origins of Islam may not actually be in Mecca. There is one vague reference to the holy city in the Quran, but no other ancient texts mention it until well after the death of the Prophet — and even then, it's described as being in the deserts beyond Iraq. "That makes you wonder, well, where was Mecca?" 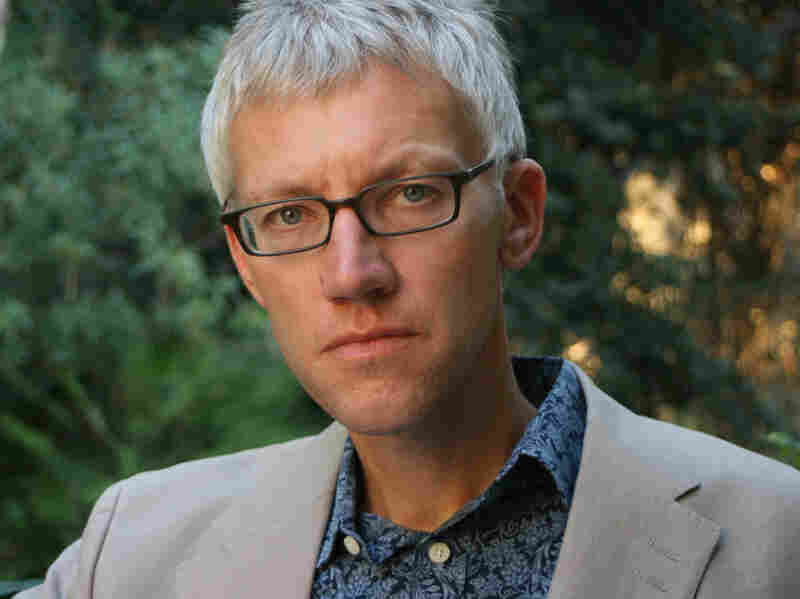 Historian Tom Holland has adapted Homer, Herodotus, Thucydides and Virgil for BBC Radio. His other history books include Rubicon, Persian Fire and The Forge of Christendom. Holland says there are several clues in the Quran as to where it may really have been written. First, he says, the Meccans are described as pagans and idol-worshipers, but they're also extremely conversant with Judeo-Christian tradition. "Even Muhammad's enemies are fully familiar with Abraham, with Moses, with Jesus, with all these figures," he says. "And that doesn't square with what Muslim tradition says at all." And there's something else odd about Muhammad's pagan enemies: "[They] keep cattle. They tend vines. They grow olives. And Mecca, at least the Mecca we now know, is a barren valley," Holland says. In the seventh century, olives weren't even grown outside the Mediterranean. All these clues, Holland says, add up to something: an origin for Islam much farther north than modern Mecca. "Perhaps in the deserts beyond Palestine," he speculates. But what about those who say Holland shouldn't question a sacred text? "I'm not a Muslim," he says. "It seems to me that the Quran palpably is a late antique document. It recognizably comes from a certain context. And I don't think that a Muslim would begrudge a non-Muslim an attempt to explain a text that he doesn't believe to be of divine origin in human terms."